President, Connecticut Lighting Centers, Inc.
Farrell, Geenty, Sheeley, Boccalatte, & Guarino, P.C. Stockholder, Reid and Riege, P.C. 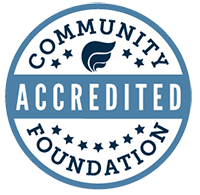 The Community Foundation is seeking two new members for our team. Enter your search in the box below.